Ground zero for the MF industry is where the impact of regulatory change is felt the most – and that is the world of the small IFA. Goutam Karmakar understands ground zero perhaps far better than most, given his extensive work in empowering over 1500 members of ICAA across Eastern India. 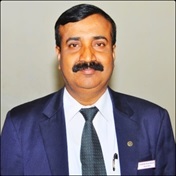 He believes the MF industry is likely to lose small IFAs with AuMs below Rs.5 crores to the insurance industry and to multi-level marketing firms. That should be a big worry – considering around half the 70,000 active IFAs in India today have AuMs less than Rs. 5 crs. And he believes that the industry can forget all notions of attracting rural money – because nobody other than the small IFA is really up to the job of converting rural India from a land of savers to investors. Ban on upfront commissions coupled with lower trail commissions are a twin blow that most small IFAs will not be able to absorb, says Goutam Karmakar, who has made it his life’s mission to work for the empowerment of small IFAs across Eastern India. IFAs with AuMs in excess of Rs.5 crore will still be able to absorb the blow to some extent – but how can an IFA with a 2 cr AuM ever absorb these cuts, he wonders. He worries that they will leave the MF industry and focus more on insurance and on multi-level marketing schemes – which are clearly not in investors’ interests. The industry ought to be worried about this assessment, as around half of the 70,000 active IFAs in the market today have an AuM less than Rs. 5 crores. The other issue that Goutam flags for the industry is the lost opportunity to tap rural money, due to the shrinkage he foresees in the base of small IFAs. It is only the small IFA who goes into small towns and semi-urban clusters to educate rural folk about the difference between saving and investing and the merits of regulated products like mutual funds over chit funds and other unorganized schemes that they often fall prey to. If the industry were able to tap rural savings, it would be a huge boost to the economy, apart from benefiting millions of rural savers. But with the shrinkage he foresees in the IFA footprint, the biggest casualty he sees is rural money. “Why can’t anybody in the fund industry explain these ground level realities to SEBI”, he wonders. As a founding member of ICAA, Goutam’s vision is to work with the goal of providing three key value-adds - training, development and security of the IFAs. A key aspect of the work that ICAA does is train other IFAs themselves instead of relying on an external trainer. Not just that, Goutam also drives his fellow IFAs to take the CFP accreditation which can equip them with technical knowledge to impart training to other IFAs. So far, he has motivated 26 members of ICAA, all of whom have successfully become CFPs. ICAA today has over 1500 members – Goutam recognizes that not all of them can go on to become CFPs – but at least those who have, can guide the others, he feels. Another key area where ICAA intervenes is by securing the families of deceased IFA members. When an IFA dies, his family suffers emotional trauma as well as financial – since the trail commission from the IFA’s lifelong work suddenly stops until somebody intervenes to go through the labour-intensive process of transmission of his AuM. ICAA has done this in 13 instances – an accomplishment that Goutam is very satisfied about. He believes strongly that every IFA association should take this up as one of its key responsibilities towards its members. For Goutam, evolution of IFAs is intricately linked with practical knowledge and insights which led him to form the ICAA where IFAs can be trained in practical knowledge and insights on the current trends of the industry. In an ever-changing financial environment with new regulations coming in from time to time, it is vital for IFAs to keep themselves updated and work in tandem with technology, particularly, understanding digital technology. Adoption of technology is generally a little slower among small IFAs, observes Goutam, but he is encouraged to see this trend changing. There are many small IFAs in Bengal who are keen adopters of technology, and they are setting the trend for fellow IFAs to follow. “132 small IFAs in Bengal have now become tech-savvy” says a very satisfied Goutam. 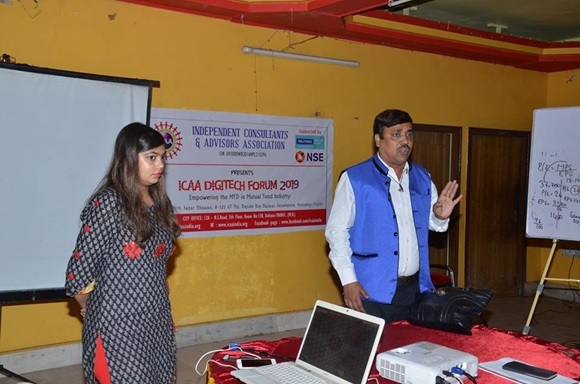 ICAA’s Digitech Forums are focused interventions that enable IFAs to imbibe practical insights on how to use technology to serve clients better and manage their businesses more efficiently. Right from understanding excel to harnessing the power of financial calculators to understanding how to intelligently use android phones to leveraging MF apps – these forums impart very relevant, practical insights to members. “Every graduate comes into the professional world armed with lots of theoretical ideas, but little or no practical insights. Our mission at ICAA is to bridge this gap for IFAs” says Goutam. Not everybody can dedicate the time, effort and energy to spearhead a movement like ICAA and work tirelessly towards the empowerment of over 1500 IFAs. That comes from a passion for service as well as an understanding family that allows you to follow this passion, knowing that there are many revenue opportunities forsaken as a consequence. Goutam is thankful for his family’s unstinted support for his ICAA related activities.